PB and I were shopping at Kohls last Friday and saw a truck load of these hats on super clearance. We can't figure out why no one wants them LOL!! Seriously though it was a really busy week. I hosted 2 MOMS Club events at my house. Which was a good idea because all left over food from the first one got served to playgroup the next day. And I got 2 events out of one time cleaning :) My Mom and I cleaned and prepped PBs big boy room for furniture assembly this weekend. Mom did most of the work on that one, I just put some IKEA shelves up. 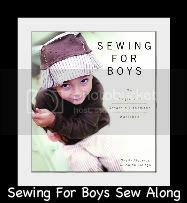 Today I am going to do a ton of cutting and pinning and hopefully sewing for the baby in my belly and my bff's baby girl in her belly :) Hubby is on the phone all day today so if I get to the sewing part, I have to bring my machine upstairs to sew. I am pretty excited about all the progress we are making on the house. I am going to try super hard to take some pics this weekend to share of the basement. We also have one pile of stuff left to be put away and hopefully this weekend that pile will be gone :) We are doggie sitting a beautiful Chocolate Lab this weekend! I am getting getting doggie kisses as I type :) Happy Weekend!!! Those hats! Hilarious :) Sounds like you have a nice mix of stuff going on there..love all of the house updates.